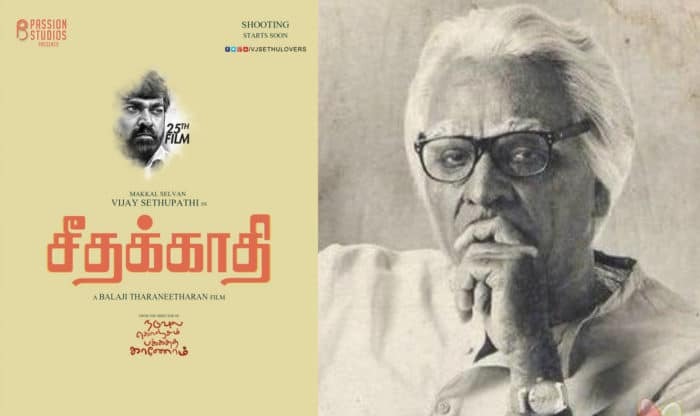 Seethakaathi is one of the most Tamil awaited movies for Vijay Sethupathi fans. This movie is directed by Balaji Tharaneetharan & the production of this film was started in April 2017. This is Vijay’s 25th film in the lead role & he describes this role as the toughest of all. In this movie, we will see him playing the role of an 80 years old drama Artist by showcasing his journey in Theaters. In this post, we are bringing the review and day to day updates of Seethakaathi Box office Collections. This is one of Vijay Sethupathi best movie that we have seen in the lead role. The story of this movie is about an 80-year-old stage artist & his journey in theaters. This movie is based on a philanthropist Seethakaati, who expresses his journey as a stage artist. According to Vijay, playing an older characters role is one of the biggest challenges that he has faced. In this movie, we will see him finding someone to whom he can pass his legacy of stage acting. According to the sources, Vijay had a very tough time, especially with the makeup artist. It is said that he spent 4 hours just to get the makeup done. Vijay’s fans will see his completely different personality in this movie & also the expectation from him will be hight for the upcoming movies. The official trailer for Seethakaathi was released on 21 November and at the same time, Seethakaathi Release date got confirmed. According to the official confirmation, Seethakaathi will release on 20th December 2018. Seethakaathi is out at the big screen and the Vijay Sethupathi has done a brilliant job in portraying the 80-year old’s character. The movie is full of Drama and filled with a lot of entertainment. Playing the role of Ayya Aadhimoolam needs a lot of guts. He was a veteran septuagenarian stage play actor for whom Tamil society has a huge amount of respect. The initial moments of the movie have to be seen with a lot of patience as the story of the veteran is being narrated. After the first 40 minutes, the movie focuses deeply on his character. But while watching the movie you are continuously into it. The movie is conveyed through the art and drama which is at a good flow. The length of the movie could have been shortened down a bit. also, Govind Vasantha’s music plays a major role in the film as it beautifully highlights the emotions. Seethakathi can go down as one of the best movies if not judged for the first 40 minutes.